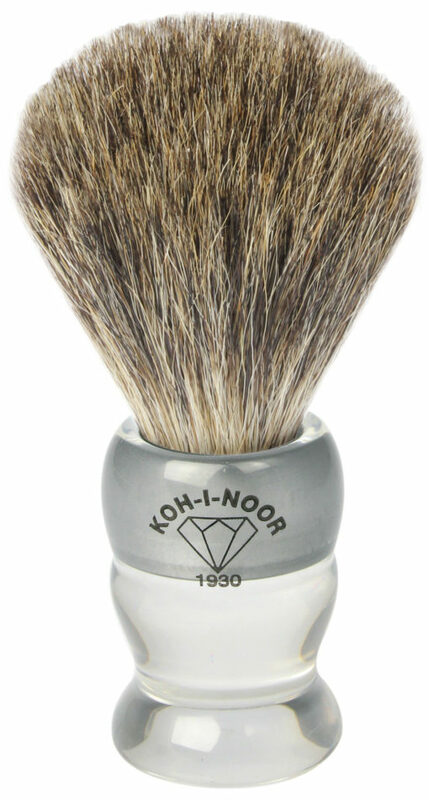 This brush is loaded with pure badger hair, great for anyone new to wet shaving, lathering, and the wonderful properties of badger hair. It excels in water retention, backbone, and face feel. It whips up phenomenal lathers. The densely-packed knot of hair is set deep in the handle, comes in a variety of sizes and offers superior durability and comfort. Never mass-produced, each brush is made by an artisan’s hand. Badger hair is an exceptional material with excellent water retention and softness. The handle is made from high-grade transparent resin that has been expertly turned for a seamless look. High-grade resin is a durable material that will last for years and maintain its aesthetic appeal under constant use. The 1930 collection features a silver resin handle engraved with the legendary Koh-I-Noor diamond. This brush is such a beautiful gift. I love using it every day. I like to look clean shaven every day and have really dry skin. 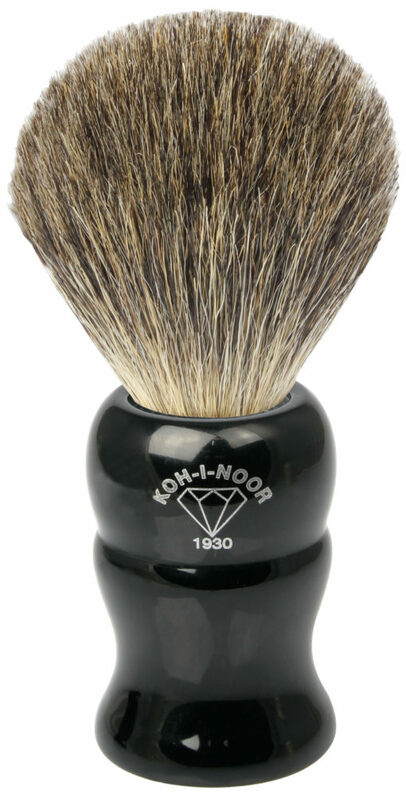 This brush never irritates my skin and leaves it looking amazing after shaving. Shaving is so much better now; this brush makes even makes my skin look a little younger, glowing!